UND recently confirmed that Josh Duhamel will join the University for its spring semester graduation festivities and receive an honorary degree. He will appear alongside U.S. Secretary of the Air Force, The Hon. Heather Wilson, who will deliver the commencement address. 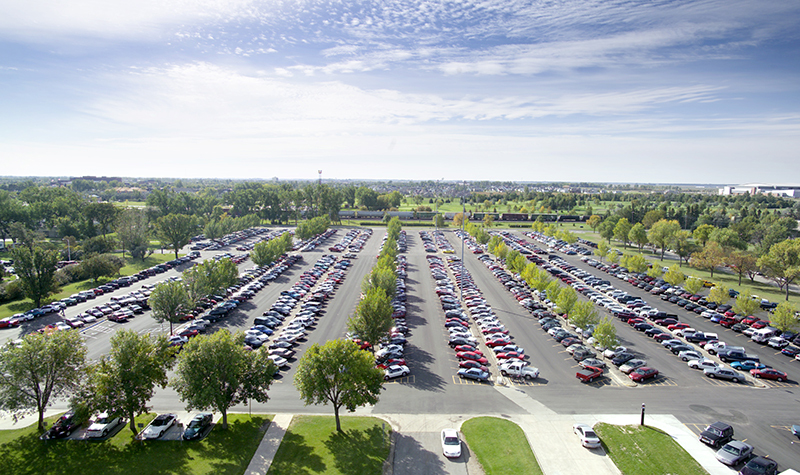 Image courtesy of North Dakota Tourism. UND’s General Commencement this spring was destined to be a big deal already — now it’s adding a twist of Hollywood to the mix. The University confirmed today that North Dakota native and big-screen star Josh Duhamel will be in attendance for its spring semester graduation festivities. Duhamel, who grew up in Minot, N.D., and who is known for sporting home-state attire in many of his movies, is slated to receive an honorary degree from UND in May. Duhamel will join U.S. Secretary of the Air Force, The Hon. Heather Wilson, for the commencement proceedings. UND revealed late last month that Wilson, who recently announced she would be resigning her Pentagon post to become president of the University of Texas-El Paso, will deliver this year’s spring commencement address. UND’s General Commencement exercises are set for Saturday, May 11, at the Alerus Center. There will be a graduate degree ceremony at 9 a.m. that day, followed by an undergraduate ceremony at 1:30 p.m. The Schools of Law and Medicine & Health Sciences will hold their own ceremonies in May, on May 4 and May 12, respectively, at the Chester Fritz Auditorium. 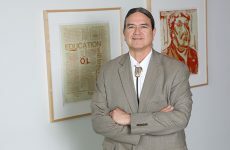 Duhamel, 46, also is expected to take part in an event on the Friday before commencement weekend to honor newly endowed faculty members and other honorary degree recipients. Originally planned for Fall 2017, UND’s honorary degree for Duhamel recognizes his success in the film industry and promotional work on behalf of the State of North Dakota. Image courtesy of North Dakota Tourism. UND had originally announced in the fall of 2017 that it would award Duhamel an honorary degree for his success in the film industry and his promotional work on behalf of the State of North Dakota. Scheduling conflicts had precluded stars from aligning for an official date until now. Only two of UND’s past honorary degree recipients—President John F. Kennedy and alumnus and NBA coaching legend Phil Jackson—have accepted their awards outside of a commencement setting. Duhamel joins a who’s who of past honorary degree recipients including alums such as NASA Astronaut Karen Nyberg, famed playwright Maxwell Anderson and novelist Jon Hassler. 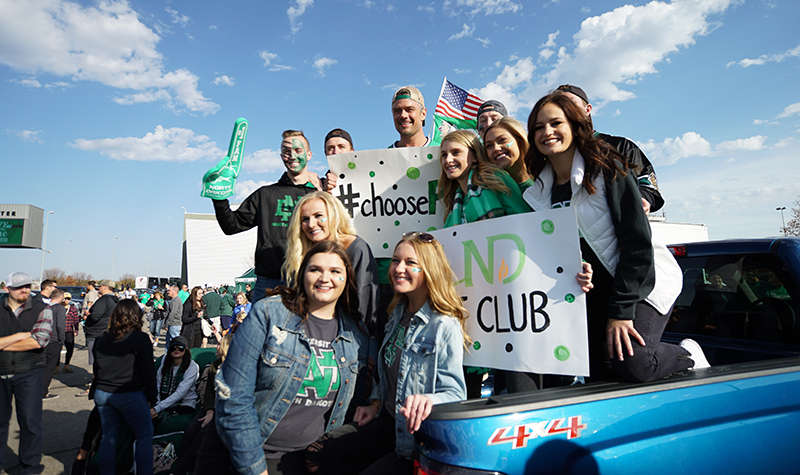 Over the years, Duhamel has made a number of appearances in Grand Forks for UND Football tailgating and UND hockey games and has taken to social media to root for UND athletics teams when they’re competing for championships on the national stage.